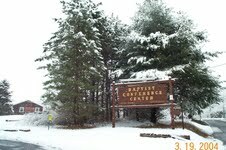 Last weekend the Camps, Conferences and Retreats Committee of Baptist Camp Lebanon sponsored it's first reunion for past staff and volunteers. A total of 27 folks came, from as far away as Scotland, to show their appreciation for Lebanon's ministry. The weekend retreat was called "Rekonect". Reconnect is what they did! 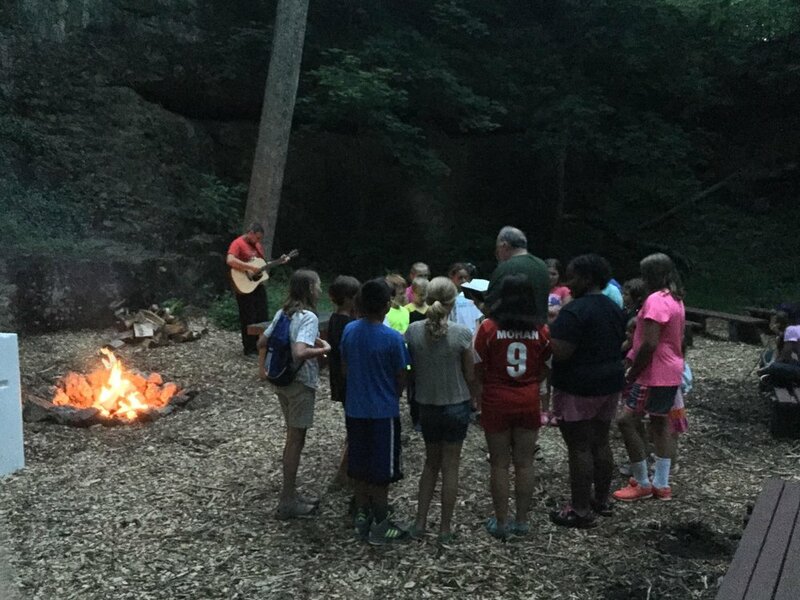 The weekend was filled with memories, stories, and many photos all being shared from a common love for the summer camping ministry of Camp Lebanon. On Saturday, a tour of the camp was followed up by a chance to participate in Lebanon's ministry. Some helped clean up the Green Cathedral in preparation for the camping season while others assisted in assembling photo scrap books which preserve some of Camp Lebanon's many pictures. As participants reflected on the weekend, they almost unanimously declared their highlight was helping with the work projects. The camp alumni present also overwhelmingly affirmed their desire to hold another camp reunion in 2014. Those who came hope, with even more preparation, more willing alumni will come "home" to Lebanon and support it's on-going ministry. So keep on the look-out for information regarding 2014's REKONECT reunion! Let's make it an event to remember?